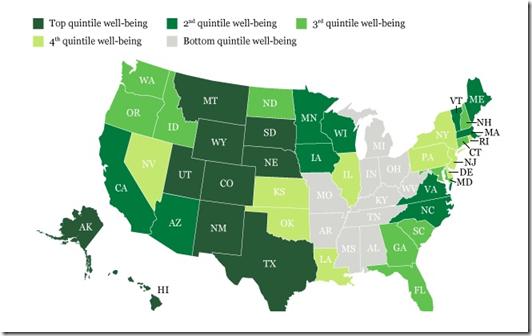 It will come as little surprise to my fellow Texans that we are in the top group of people with general good well being. We are happier, healthier and more comfortable than most. You can draw your own conclusions as to why this is the case. This was a massive year long study based on polls by Gallup and Healthways. I’m just going to point out there are a lot of unhappy SEC opponents on that map.